Why Is My Swimming Pool Losing Water? Home / Pool Chemicals / Why Is My Swimming Pool Losing Water? No, you don’t need to get your eyes checked; your pool’s water level did lower. 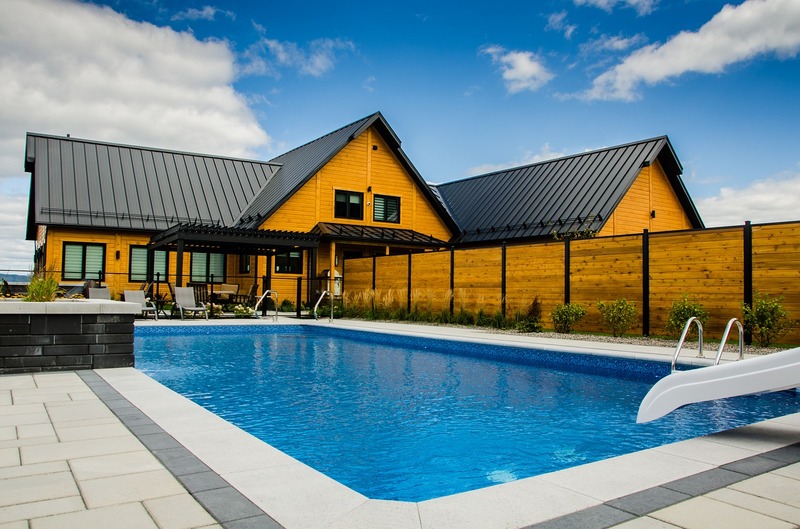 Did you know that swimming pools lose, on average, a quarter of an inch of water each day? Pools lose water due to various conditions such as humidity, wind, and sunlight. But when you notice your pool’s water level drop drastically, your pool may have a small leak. Leaks must be repaired quickly because they can empty a pool of its water, resulting in a hefty water bill. Wondering why your pool’s water level recedes? More importantly, does your pool have a leak? The pool experts at Shoreline Pools have 4 possible explanations for your pool losing water. Jackknife, cannonball, or maybe a good ole’ belly flop. Whatever the move, pool-goers love to splash around the water. Get a group of energetic kids in a pool, and you’ll find yourself ducking for cover from splashing water. But did you know that your pool loses a significant amount of water from excess splashing? Known as “splash out,” this phenomenon tends to be the main culprit for lower water levels. To determine whether or not this is the case, make note of the water’s level and then close the pool for a bit. Once some time passes, check the water level to root out any alarming differences. If you notice a significant drop in water levels, you might want to tell your guests to keep the splashing in the pool. You may recall learning about the water cycle as early as elementary school, specifically the first phase of the water cycle known as evaporation. Water temperature, ambient air temperature, wind speed, and humidity all contribute to the rate of evaporation in a pool. If you suspect that evaporation is the cause, simply fill a bucket of water and place it near the pool. Then, compare the levels of water by the end of the day. Should the level of water in your pool be significantly lower than that in the bucket, that’s a possible sign that the problem is occurring elsewhere. Your pool water evaporating is nothing to be too concerned about. After all, you can’t control the sun, but if it still bothers you, using a solar blanket or safety cover will reduce the amount of water that evaporates. Every pool needs chemicals to maintain cleanliness and, by extension, safety. No one wants to swim alongside harmful bacteria. Yuck! Chemicals keep your pool looking clean and inviting. Finding the exact balance isn’t always easy, but go too far off the mark and your pool may become weakened in certain areas, which can often lead to leakage. Need help? Have a Shoreline Pools maintenance worker pay your pool a visit. We’ll give you some pointers so that you don’t go turning your pool into a science project. Fiberglass – While durable cracks and leaks may occur when the sand around the surface becomes too saturated. 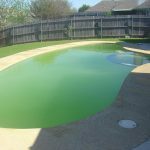 Vinyl – Susceptible to damage from sharp objects and even reckless swimmers, tears in vinyl pools must be dealt with as soon as possible so as to prevent the spreading of the leakage. Concrete – These are the most durable type of pools, but should be checked every 5-10 years for possible hairline cracks due to age and sharp objects. Pools may appear to be immune to damages that result in leaks, but their sturdiness decreases with age. Like any other item, they require proper maintenance to continue functioning at top capacity. Simply keeping a close watch on your pool and correcting mistakes when they arise is the best way of dealing with any problems you may encounter. Do that, and you’ll minimize the amount of water your pool will lose. Have a leak you can’t seem to determine the source of? Contact Shoreline Pools for help today!